EB-5 Regional Center Program Reauthorization Update: Onto the House! With the Senate acting to reauthorize the EB-5 Regional Center Program via unanimous consent for three years on August 2, it is imperative that we remain vigilant as an industry in our advocacy efforts until the House passes the same legislation the week of September 10. IIUSA will be submitting a letter to House leadership this week, similar to the 350+ signatory letters sent to Senate leadership in July, urging immediate action on EB-5 reauthorization. Lastly, while Congress is in recess the rest of August, be sure to invite your representatives to any EB-5 regional economic development that is occurring in their district. Show them why they should support action on EB-5 Regional Center Program reauthorization as soon as they are back in session in September. 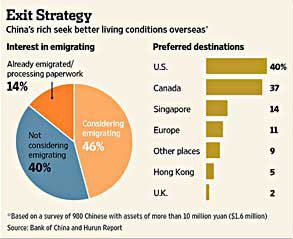 Foreign investors are choosing to immigrate to the U.S. in ever larger numbers. Inland Investor Visa Group 8, Inc. is a leader in helping foreign investors through the EB-5 application process. Citizenship For Sale- Foreign Investors Flock To U.S.
22-story Hotel Planned For Downtown L.A.